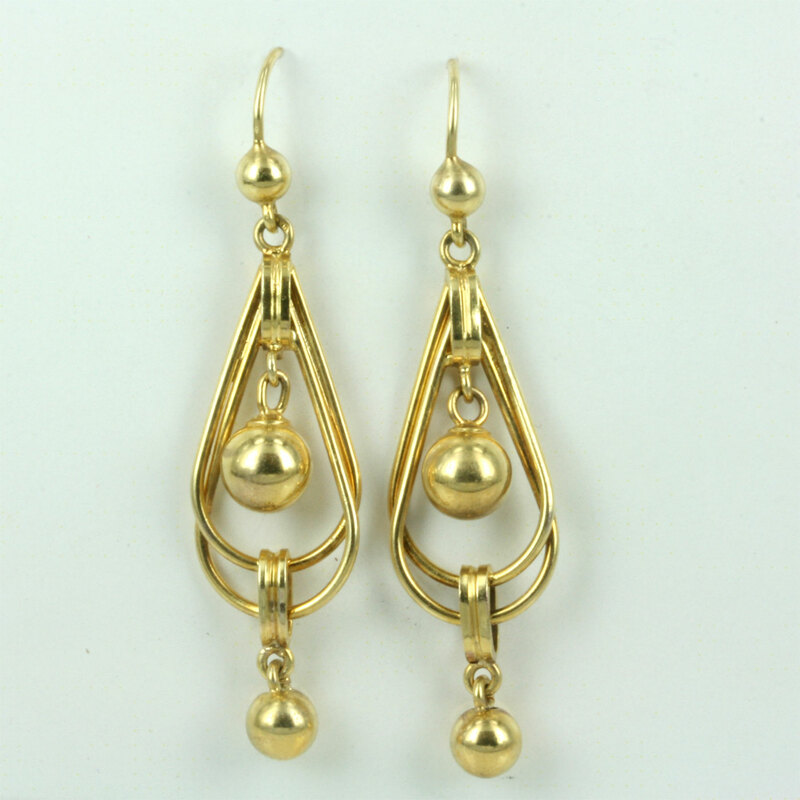 18ct antique twist design earrings. Product code: 1087 Categories: Sold Items, Sold Jewellery. Here are a very lovely pair of antique earrings made in the late 1890’s, yet still in a very modern and contempary design that can so easily be worn with modern jewellery. 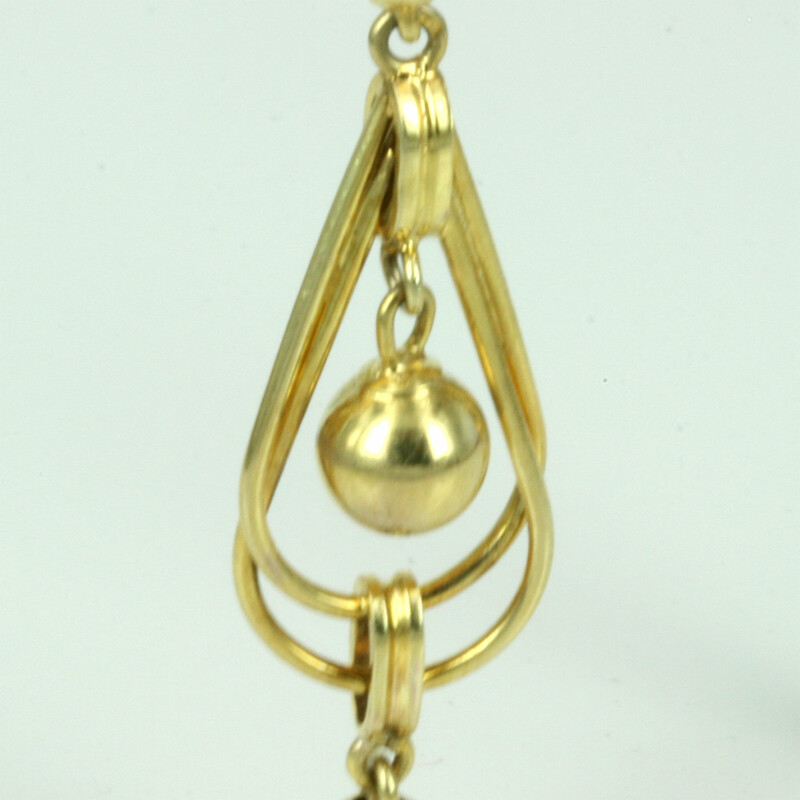 Made in 18ct yellow gold, they have a suspended gold ball and two rows of gold that twist over each other. Set with nice long shepherd hooks, each earring measures 37mm from the bottom to the top just before the hooks, and sit so stylish on the ear. A lovely pair of antique earrings for anyone for any occasion.